What do you know about your own teeth? Nah, seriously! We use our teeth in the day-by-day routine without even giving them the proper "thumbs up". However, they are a pretty great "tool" and can be used to open problematic packages, bite somebody's hand (why not? ), chop some cables, and, naturally, eat. Still, even though we all have teeth (well, the majority of us, anyway), not a lot of us know even the tiniest bit about them. Why? Well, we simply don't care! We take them for granted and the only thing we do to keep our teeth in shape is to brush them every morning and every night. 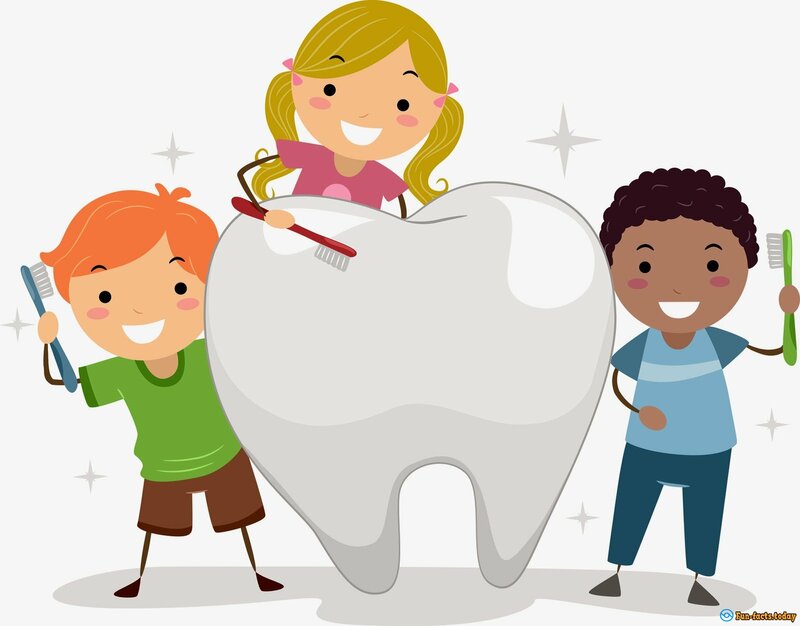 So, there's a lot of mystery around our pearly whties, and, after you read through my list of the craziest facts about your teeth, you'll learn so much weird, cute and simply ground-breaking stuff that you'll be amazed! At the very least! - Alright, this is pretty ridiculous: there are some folks in this world that love to...tattoo their teeth! I mean, I can understand doing that elsewhere on your body, but your "white crackers"? Well, truth be told, the tattoos are not done on your raw teeth - they are just simply applied onto the caps/crowns. Before the cap is inserted into your mouth, you can put whatever you want on it, including Japanese symbols, images, the name of your sweetheart - you name it. Or how about you write your social security number on it? Definitely a crazy fact about your teeth, no? - Despite the popular belief, dentures are a lot cheaper than implants. Get this: if you get your one tooth pulled out and a new one "installed" in its place, you'll have to pay as much as 2 thousand dollars! On the other hand, if you have all of your precious teeth removed and dentures put in their place, the final cost will be 1K, which is half the price of an implant. True, some people won't feel comfortable saying "goodbye" to their natural teeth, but, from a financial point of view, it's a no-brainer. Another crazy fact about your teeth! - Don't believe when toothpastes and/or mouthwashes claim that they'll restore your enamel or make your teeth stronger - that's just a lie. Enamel doesn't contain any living cells, so, if you damage/break it, there's nothing you can do about it! Yes, the paste and washer do usually get the calcium to "glue" to the enamel and cover the weak spots, but that's it! - Do you want another crazy fact about your teeth? Here goes: Some people are born missing one (or more) teeth. Yep, that's a pretty common thing, actually. Our teeth are formed when we're still in the womb, so, if you're born missing a tooth or two, you'll never get the chance to grow it! Fun fact: Remember Stu from The Hangover series lost a tooth? Well, the truth is, the actor, Ed Helms, was born missing it! That's awesome, right? - Crazy fact about your teeth: Now, if you thought that having 1 tooth removed is one hell of an experience, imagine what it would feel like to get 100+ teeth removed! Some people with odontoma grow teeth pretty much wherever the odontoma is located. There was this boy from India once who had +/- 230 teeth removed! - Final fact: On average, we spend 35-40 DAYS brushing our teeth! Aha, that's what's up!